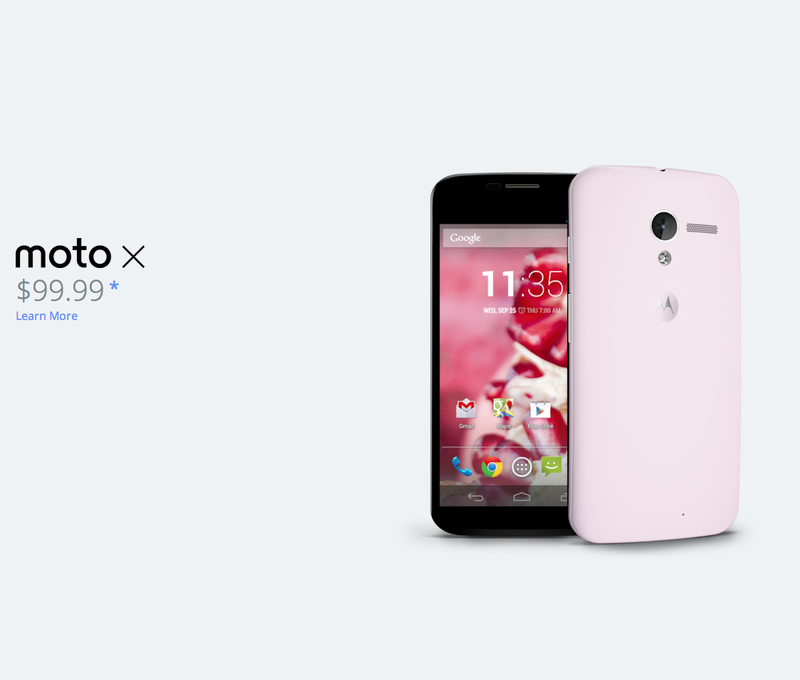 This morning, the Moto X for AT&T has dropped to $99 on new contract for the 16GB version, and that includes custom designed versions through MotoMaker. You could make the closest thing to a DL phone (pictured above) and still walk away at under $100 if you’d like, though we wouldn’t exactly recommend that colorway for a 2-year contract. We had previously heard from @evleaks that a price drop of $100 was coming in Q4, so this seems to be right on time. We also saw a price drop to $99 on-contract at Best Buy recently. The 32GB version is now $149, which is a $100 discount as well. No sign yet of the wood backs, outside of a Calvin Harris video or two.